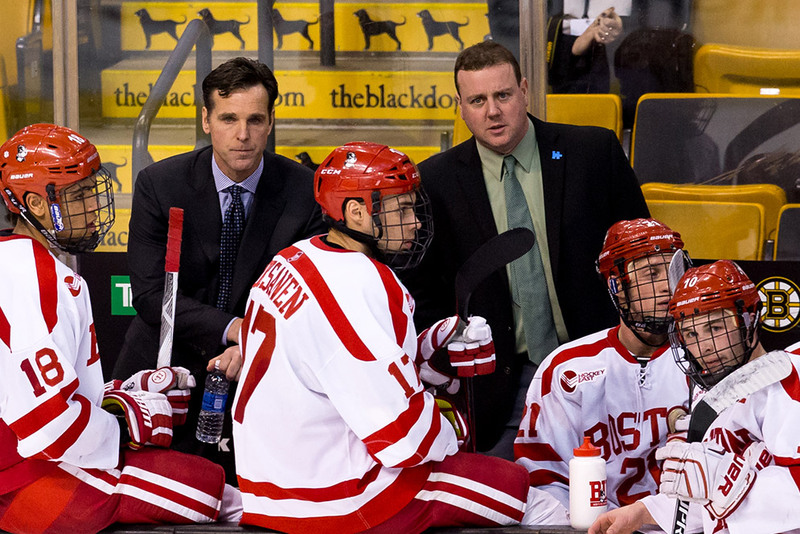 Albie O’Connell has been named to succeed David Quinn as head coach of the Terriers. He becomes the 12th head coach in the 100-year history of the BU program and spent the past four seasons on Quinn’s staff, serving as Associate Head Coach and lead recruiter the past three years. O’Connell is credited with bringing top recruits—and recruit class—to the program that led to four consecutive NCAA tournament berths. Last month, Quinn was named head coach of the New York Rangers. The Watertown, Massachusetts native has been coaching at the collegiate level for 14 seasons, beginning at Colby College before moving to assistant positions at Niagara, Holy Cross, Merrimack and Northeastern. During the three years prior to joining BU, he was an assistant at Harvard. In his first season with the Crimson working with defensemen and special teams, he directed the nation’s top power play (27.3%), helping Harvard reach the ECAC title game. 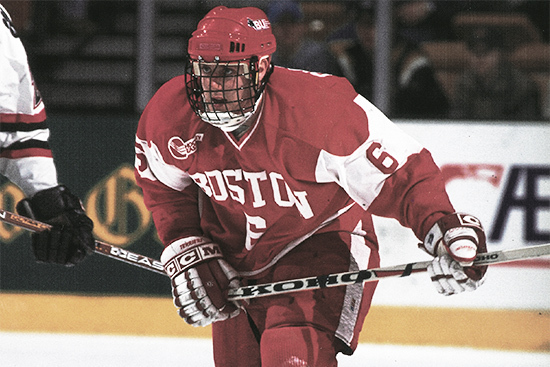 Like his two immediate predecessors Quinn and Jack Parker, O’Connell is a former Terrier captain (1998-99). He led the team in scoring as a senior with 39 points, tallied 108 (42G, 66A) career points, played on Frozen Four squads his first two season and was part of one of only four BU classes to win the Beanpot title four times. O’Connell played two seasons in the ECHL and two in the British National League before beginning his coaching career at The Berkshire School. A fifth-round draft pick of the Islanders in 1994, he came to BU after a standout career at St. Sebastian’s. O’Connell graduated in 1999 from the College of Arts and Sciences with a bachelor’s degree in history. He and his family live in Duxbury, Massachusetts. Fun fact: Albie won’t be the only O’Connell with the Terriers next season as freshman defenseman Ryan O’Connell arrives at BU. A seventh round pick of Toronto in the 2017 NHL draft, he played for Penticton in the BCHL last season and also participated in the World Junior A Challenge. TSN’s final rankings for the 2018 NHL Entry Draft have Brady Tkachuk at #4, Joel Farabee at #11 and Jake Wise at #42. New Minnesota Wild GM Paul Fenton has hired former Terrier All-American goalie and longtime NHL executive Jack Ferreira as an assistant. 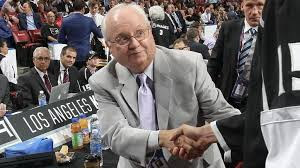 Ferreira, who had hired Fenton as a scout when he was GM of the Sharks, had also served as general manager of the previous Minnesota franchise, the Stars, now in Dallas.